32 people were reported missing after an oil tanker and a cargo ship from Hong Kong collided off China's eastern coast Saturday evening. The collision led to the oil tanker being set ablaze and expelling its cargo into the sea waters. All the missing crew members were from the oil tanker and included 30 Iranians and two Bangladeshis, China’s Xinhua News reported. 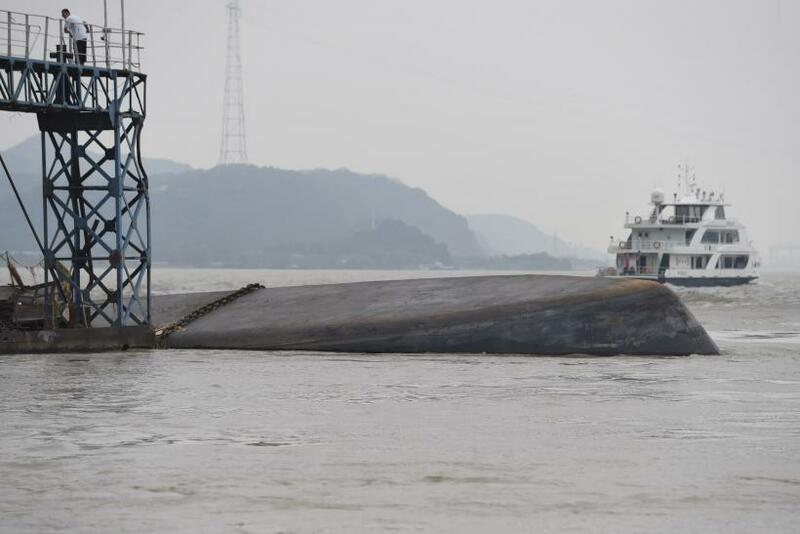 All the 21 crew members on the cargo ship — who were Chinese nationals — were rescued, China’s Ministry of Transport was cited as saying Sunday. The Sanchi tanker, registered in Panama, collided with the CF Crystal ship some 160 nautical miles off the coast near Shanghai. The tanker was sailing from Iran to South Korea, carrying 136,000 tonnes of condensate, an ultra-light crude, Reuters reported. "Sanchi is floating and burning as of now. There is an oil slick and we are pushing forward with rescue efforts," the ministry said, adding it had dispatched four rescue ships and three cleaning boats to the site as of 8.00 p.m. EST. South Korea had also sent a ship and helicopter to help. The cargo ship was registered in Hong Kong and was carrying 64,000 tons of grain from the U.S. to China’s southern province of Guangdong.